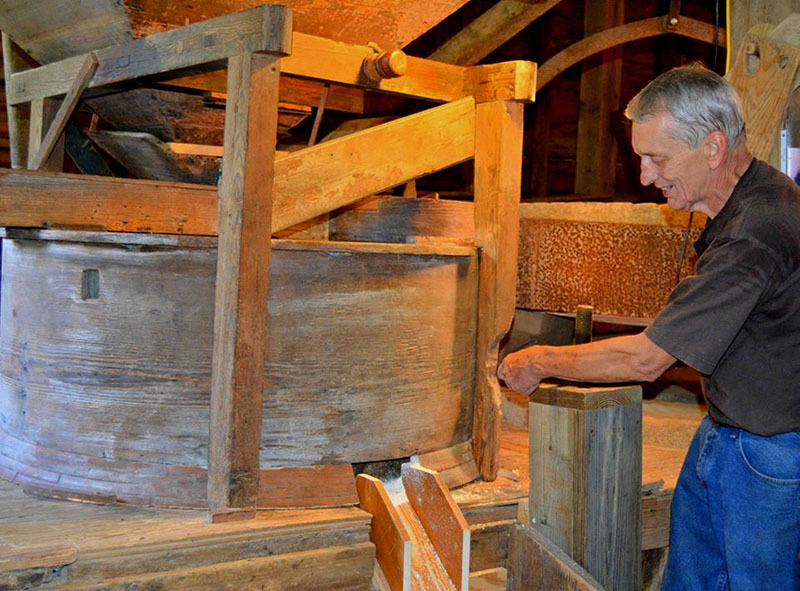 Employee Jim Wood operates the grist mill at Kenan's Mill, a living-history museum located just north of Selma, Dallas County. Constructed in 1861 by James Kenan as a grist-mill business, it operated until 1968. The facility was restored in 1987 by Kenan's descendant Elizabeth Kenan-Buchanan, and she donated it to the Selma-Dallas County Historic Preservation Society, which operates it as a historical park and event center. The site includes a beehive oven, functioning grist mill, and mill house as well as more recently added meeting rooms and a stage and pavilion.